I used the #mastodon logo and elephant. 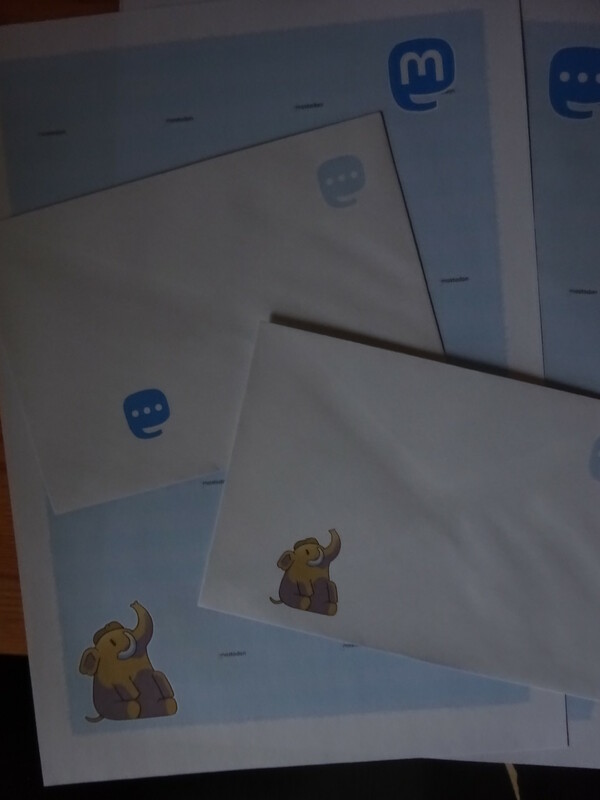 I made two sheets of paper and two images to be printed on envelope. I hope I can share the result with you. said it was put unter some creative commons licence. @marionline For the elephant fren credit goes to @dopatwo (as for the logotype it's either Gargron or someone else, no idea).